After World War II, Sweden led the Western world in social programs. By the 1970s it was considered a model of the successful welfare state, providing a broader and more elaborate system of social programs and security to more people than any other country, the centerpiece of which was its health care system. 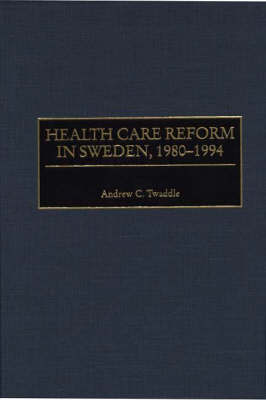 As Twaddle explains, however, by 1990 there was a significant shift in Sweden's health policy debates. Instead of speaking about the medical care system in terms of effectiveness, solidarity, and public planning, the discussions grew focused on competition, markets, and privatization, taking on more of the characteristics of the U.S. system. Twaddle explores the nature of the proposed changes in medical care, the context in which those changes were being proposed, and the steps that were taken to implement change. He concludes that the problem of market- oriented reforms in health care seems to be almost universal.